Today for Frugal Tips Friday #4 we’re focusing on Saving Money/Cutting Costs. I think all of us are finding that money is going out faster than we can bring it in. It seems like every time I buy groceries, the cost of items have gone up or the size of what I typically buy is smaller. That’s the stores more deceptive way to fool you. Same price, smaller product. We all have to eat, so all we can do is try to find ways to buy less and eat more frugally. Most of you know I cut TV from my Cox Cable bill. I was already paying two hundred something for TV, internet and phone. It was going up tp over $300, and I said enough. I put my TVs in the closet and I don’t miss them. At the same time I took long distance service off my home phone. Now for both my home phone and the flip phone I carry but have only used twice, I will have to pay for the minutes I use. With the flip phone, I don’t even call locally much less long distance. But it’s there in case of emergencies. I pay a little over $13 to have the phone with Consumer Cellular. And I pay around $23 to have my home phone. Adding long distance doubles my bill. I have looked at all my bills and haven’t been able to scrape anything else off the costs. My insurance is about as cheap as I can go, with the highest deductibles, etc. I’ve been doing better with eating frugal meals at home. And I’m temporarily on a no-spending-for-anything-else freeze. I still have over $2500 to pay in taxes. So there won’t be any real saving until I get that figured out and paid. 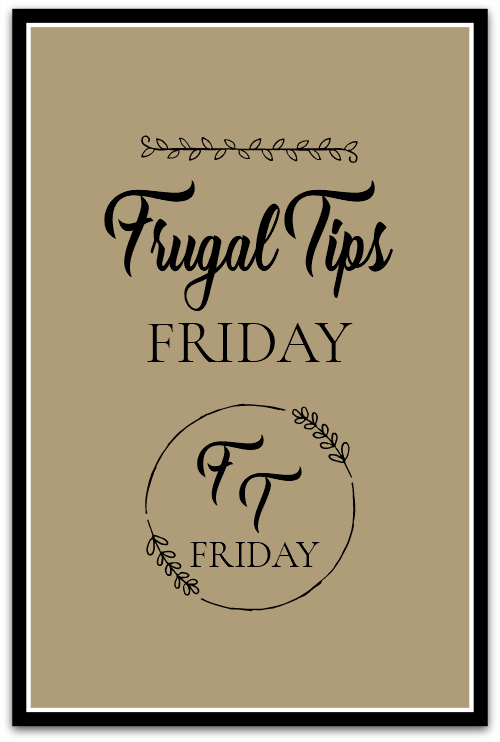 What suggestions do you have for saving money and cutting costs this Frugal Tips Friday? Pet Food Warning: This is off topic, but I just found out that Hills’ canned canine food has had a huge recall. There’s too much Vitamin D in a bunch of their canned food. If you feed your dog Hills canned food, please go online and look at the recall! This is a tough one. I think I already have a bare-bones budget and also am on a no-spend indefinitely! I had to spend $350 on a plumbing problem in early January (neighbor’s tree roots in my sewer line), and last week my automatic garage door opener went kaput (another $350). I hope it is not true that bad things come in threes. I can’t save anything with my SS and part time job. It seems as if my unforeseen home expenses are what do me in…so maybe time for an apartment. Unless I can do a cash-out refi of my house…. Brenda, I could not agreee with you more about the cost of food. I read recently, I cannot remember where that because people are so focused on their technology they do not realize that the cost of food and other goods has gone up so high. If you do not shop at Aldi or Lidl then you should. The prices are low and they food is great. Another article I read recently said that the least expensive places to shop are Aldi, Lidl, Trader Joes, and I think Woodmans. I think you have some excellent tips and you have certainly cut down your spending as much as you can. I think it was suggested before but why don’t you speak with the IRS and ask about payments. Here is a link to 100 frugal recipes. https://savorandsavvy.com/2015/03/100-frugal-recipes.html One of the comments left on the post was written by a 76 year old widow and she mentioned that she cooks a meal for 4 and divides it up in to 5 servings for freezing and then if she is hungry she makes vegetables to accompany the meal. Brenda, This is off subject.Does Charlie use Hills Science Diet prescription dog food? They are having a massive recall due to toxic vitamin D levels. Yes, and I have nothing to feed him! I’ve talked to Chewys, where I ordered it. Hills has closed down their phones. I’ve called the vet’s office and they didn’t even know and the guy just delivered more to them. I told them not to sell it. I talked to Chewys and even though the numbers on our cans (just got a case of it and was about to feed him!) was a little different, they said just don’t feed it to him. They have no idea when this will be remedied either. She told me to put water on his dry food, and I told her he has no teeth! What a mess! He could safely have very lean ground chicken and cottage cheese or even a little minute white rice mixed in. If you are in a pinch give him a scrambled egg. I cook all the time and have for a number of years for all. I am well aware of how bad pancreatitis can be for a dog! I have had a few shepherds with bad digestive disorders and have had good success cooking for them. This vitamin d issue is becoming a nightmare. I found the posting on New England German Shepherd rescue and instantly though of Charlie! When our little dog had a bad pancreatitis attack, the vet had us boil small balls of ground turkey and feed it to her with white minute rice. You just drop the ground turkey that has been formed into a meatball into boiling water for just a few minutes. Now if ever she is not feeling well or the store is out of her dog food, we just prepare the ground turkey balls and rice for her. She loves it and it’s a breeze to fix. I just got back from the vet. They checked and their food was okay, so I took Charlie and went over there and got him 12 cans. He’s eating now. Poor Charlie – maybe you can make him extra eggs until you get more food for him? As for budgeting, like you I have cut my budget as far as I can, not sure where I can scrape off more. Every time a disaster happens and I have to shell out more money, I panic. Last month it was a new well pump when the old one quit and I had no water – $2000 out the door. This month it’s a flood in my lower level, heaven knows how much that’s going to cost me. They ripped out part of the floor yesterday, and they will be ripping out the bottom of all the walls tomorrow. Shoot me. All because the well guys didn’t close something up right when they replaced the pump!!! Of course I’m going after their insurance, but I can’t stand my house being such an upside down mess right now, it’s making me nuts. It’s always something, isn’t it? Yes, it’s always something. I couldn’t afford to live in a house and have endless repairs. That would do me in financially. There’s only so much you can cut on utility bills and then you can’t go any lower unless you want to risk freezing pipes in the winter in my climate, or suffocate from the heat and humidity in the summer! Where I save is on food. There’s only me, I don’t have 2 or more to feed. I don’t drink a lot of milk, but I do eat real cheese (not cheese product). Fortunately, the supermarket chain I shop at will often have 10 slice packs on sale 3 for $6. I stock up and freeze packs until needed. I buy ground beef on sale, and the occasional roast on sale – I can get several meals out of pound of ground beef or a 2 pound roast. I also like several brands of microwave frozen meals. I can get them for $1.77 each or sometimes 3 for $5 on sale, so I stock up. I also use staples such as bread, eggs, Bisque (or generic baking mix) and milk. I will make French toast for a quick hot meal with a little syrup. I make 2 slices of French toast with one egg, more than enough to fill me up. Two egg omelets with a slice of cheese added, or two eggs scrambled, or a couple of baking mix pancakes – quick, hot and delicious. I use milk for boxed meals like mac ‘n cheese (I still love my name brand favorite from my childhood days and always have several boxes in my cupboard, bought on sale) and Hamburger Helper, also in my 1 cup of morning coffee per day. I use instant coffee. One large jar lasts me at least 3 months. A quart of milk will last me more than a week – so I have to be careful about “use by” dates. I also use a lot of canned tuna, I stock up when it’s on sale for 0.79 a can. I make tuna salad, tuna casserole, and tuna fettucini for myself, all of which will give me at least 3 meals. In the summer, I’ll buy ice cream. You can find good bargains. I usually buy the individual servings. I stopped buying my favorite ice cream on a stick brand when they went up to $3.49 for a 3 pack. The last time I looked at it, the cost was $3.89! I will splurge and buy a pricey brand of rye bread, but one loaf of Rosen’s will last me 2 weeks, so I freeze half. One slice of bread cut in half (Rosen’s loafs are wide and the slices are not thin-sliced) and that makes a great sandwich for me with a slice of Swiss cheese folded in 2 and 2 slices of my slim-sliced honey ham with about a teaspoon of yellow mustard slathered on. I use a lot of yellow mustard because – don’t laugh – it really helps control my occasional bouts of sciatica and an ounce of prevention is worth a pound of cure! My favorite is Koop’s and again, I stock up on it when it’s on sale for 0.99 a bottle. I also like very thin-sliced honey ham lunch meat. I buy a name brand that is often on sale for $3.49 for a 16 ounce package. Somehow, I never get tired of it. I also use it for hot ham and cheese sandwiches and in omelets. I prefer frozen vegetables over canned. I can often get 8 oz. packages on sale for $1 or less so I always have some on hand in the freezer. A quick and delicious meal is a $1 frozen pack of broccoli and a $1 package of Knorr’s fettucini with cheese sauce – voila, 3 or 4 nice sized servings. What’s that coin that’s a quarter of a dollar? (I’m in the UK) – duh!! it’s a quarter. The equivalent here is a 20 pence piece. We save them in a little money box that we know holds £30. We don’t really notice them disappearing from purses and pockets, but the £30 gets paid into our account for helping with bills – although you could treat yourself to a little food shopping with that much money. Even if you only got to a round amount like that once a year, it’s still a nice little sum of money. I do the same with $20 bills. Every once in a while I drop a $20 into our small safe … surprisingly how fast they add up to some real money! I’ve got a whole Pinterest board on making your own baking and seasoning mixes. I’ll go that route now. I had tuna for the first time in about a year a few weeks ago. Made tuna salad sandwiches. I had the worst hiatal hernia attack I’ve ever had. Lasted overnight. Then someone commented here that tuna is hard to digest. Tell me more about mustard helping your sciatica problem. This is a new one to me. That was me, above! clicked before I’d finished. And if you have Lidl and Aldi in your town, I agree with another contributor – that’s the way to go. Fabulous bargains to be had. I’ve never heard of Lidl. I’m sure there’s an Aldi’s in Tulsa. But I go to the little Walmart market which is pretty close to me. I don’t buy meat very often, but they’re prices are usually hard to beat on other stuff. Although I’ve caught them higher than the grocery store a few times. Brenda don’t forget about those rotisserie chickens! I scored one at Walmart the other day marked down to $3.64! Many meals for me. Hubby went to Aldi today and bought our daughter groceries. He was shocked at much food he bought for only $20! I take more than I need out of the gross income for Payroll taxes. That is a category that isn’t “mine” to spend, and with overestimating, is a way to accumulate some extra savings. I have totaled how much I need annually for things like insurance, real estate taxes, and add maybe $25-$50 to that category as often as I can. Case in point…..Just got real estate taxes. I’ve already got the total set aside (Less $4). I can handle that. We primarily use one credit card. Every time I make a purchase with it, I allocate that amount to the credit card fund to keep the money set aside. I used to do this online with our bank, because it was an easy set up. Now, with a new bank, I list each category and the running balance on a legal pad. One page per month. Categories include…..big med bills, Amazon purchases, Credit card, Home improvement, Christmas (yes…start that one NOW), Insurance, Automobile…..you get the idea. Used to do groceries, but that cost has really decreased for us. Well, since I don’t have an employer I don’t do taxes that way. My accountant told me to start taking money out every month for taxes. I might have done that, but this past year I have had a ton of vet bills and Charlie’s meds are expensive. I tried to get the $85 med someplace else, but they never have his dose in supply. Brenda, Have you heard of GoodRx??? Google it on your phone, type in the drug name and you will see various prices for all the local drug stores. It saves quite a bit of money. The specialist that removed my Abbey’s eye last July (still paying that off!) told me about it for her prescriptions. I have Magic Jack phone service that I use like a land line. It plugs into the USB port on your internet and provides local and long distance phone use for $ 39 for a year – that is the total price for a year. I use Tracfone for a cell phone and buy it from either HSN or QVC and the price is about $ 70 for service as a package. The package includes service for a year and about 1500 minutes of phone time. Since I only use it as an emergency phone it lasts a long long time.time. So sorry to hear about issues with Charlie’s food. Hope you find a solution quick. Charlie’s okay now since we went to the vet and got more cans that weren’t on the recall list. Nathan told me that he could take an app and hook me up with free long distance with my cell phone, but hasn’t gotten around to it yet. I have turned into a regular pest today. At least now I am on subject! I agree with a reader in some cases you can’t cut any lower on utilities such as today it is only 17 degrees here today and that is better than yesterday. I am off to a great start this year broken tooth that cannot be repaired a broken kitchen faucet. I agree the food budget is the only place and that has become a full time project looking for the best deals. I just finished digging in chest freezer to plan a cook up. I am also saving all loose change and dollar bills for a new appliance fund for when needed. I could never own a home again as I couldn’t come up with all the costly repairs. Don’t worry about being a pest! We need all the help we can get. Sometimes it just helps to know that others are in the same boat! Brenda, my husband used to make “stews” for our dog because he often had digestive issues. He would add scramble hamburg or ground chicken with boiled carrots, sometimes a small amount of greens to cooked rice. Our dog seemed to really like it. Also, when I’m out of cat food, I pour boiling water over their dry food and let it sit until it is mushy. They’re not thrilled with it, but in a pinch, it works. More about budgets later; this topic seemed more pressing at the moment. The food he eats is a stew. But today we had to get turkey Hills’ canned food from the vet because just about all the stew canned food was recalled. I’m hesitant to make any changes with Charlie with all his health problems. A tip for homeowners: make sure that you are receiving all the property tax exemptions for which you qualify. For example, in our tax district, there is an exemption for those over 65, but your date of birth is not on tax records, so initially you have to file for it. Also, some entities allow senior citizens to pay their property taxes quarterly rather than in one lump, if that would help with budgeting. A suggestion for anyone is to set up a simple system for paying bills so that you never incur a penalty or late charge. Another suggestion is to do the routine maintenance for your home and vehicle, to make the equipment last as long as possible. I think most people have good intentions about doing these things, but it helps to have systems or habits in place. I looked it up just now, hoping, but in Virginia you have to be 65 AND have a permanent disability. So won’t work for us. I learned a long time ago that my property tax could be paid monthly! Helps a lot with the budget! We had to have our sweet lil terrier euthanized on Jan.30 she had a mast cancer tumour on her back we had it removed 2 months ago and it returned with a vengeance . Our vet had shared that it might . He had tears in his eyes when we brought her in and he put her to sleep first and then the final shot after the first shot worked on calming her down .He is a very compassionate man . I had went thru this with other animals but never with so much compassion .He did not charge us for the service . We took her to her favorite walking spot before we took her . I do not mean to upset you in sharing this but maybe it will help someone today that is dealing with having to do this . Please find a compassionate vet . We are feeling some peace today . But a hole will forever be in our hearts. Our hearts are broken she was 12 and we will miss her so much .We do not plan to replace her with our age and health problems . With both of us in bad health it is A sad time for us ! Please if you or anyone seeing your blog is a praying person please pray for us . Our kitty is lost without her she sleeps near the front door waiting for her return . I know this is off topic and I have many frugal tips to share later but just not today . I knew you had been thru this and would understand ! It is a cold lonely day for us in Tennessee! I’m so sorry for your loss Kathy H.
Kathy, prayers for you, I understand how hard this is. So sorry. Kathy-I’m so very sorry for your loss. Your precious pet is in no pain now and I believe you will see her again. Give your kitty lots of extra attention-it will do you both good. I will pray for you Kathy, I’m so sorry for the loss of your dear dog friend. Of course I understand. It does not upset me. It would upset me if I thought you didn’t think you could write about it. I’m so very sorry for your loss. I miss my Abi. My vet is in his mid seventies and very compassionate. Kathy, I will pray for you in your grief. He cares about all our sorrows. Remember that He catches our tears and our names are written on His hand. God bless. Sorry for your loss, never easy to loose our fur babies. Why don’t you cut out your home phone? Many I know only have a cell phone. Because I don’t like cell phones. I can’t remember to charge them and I also worry if I ever had to call 911 that it wouldn’t reveal where I was. I have read they can find the tower where your cell phone pings, but not your actual location. Many cities have a system now where you register your cell phone so that 911 will know where you live. I got rid of my landline almost 2 yrs ago & don’t miss it. Also, with my cell phone plan, I get free long distance. It’s included in my whatever minutes per month I get. I never have a problem recharging my cell phone because I plug it in every night. I use it as an alarm clock too. That way I never forget to recharge it, since I set the alarm “clock” every night. One other thing–it is not the stores that increase the price and reduce the size of products, it is whoever manufacturers the item! I assume everyone uses coupons? I download e-coupons every week (I shop at Krogers). I never “forget” to take the paper coupon with me, and when I scan my Kroger shopper card at check-out, it automatically deducts the coupon savings off the total. Another good reason to use a cell phone instead of a landline. Also, it is an excellent idea to check into your car/home insurances every couple years to see what other companies offer. My husband is a 911 dispatcher…Brenda is absolutely right that most times, a cell phone will NOT tell the dispatcher the caller’s exact location. It is a good idea to register your cell phone with smart911.com. Brenda, so glad Charlie’s food got straightened out. Brenda, so glad Charlie’s food issue got straightened out. Kathy H. I will be praying to St Francis, patron saint of animals, for your little dog and I am so sorry, knowing exactly how this loss feels. On the subject of living frugally, OMG! 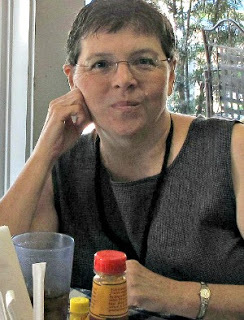 Since my husband’s death a year and a half ago, I have had my income cut in half, and am managing (although not well) on a fixed income which is comprised of his social security, taken at 62 at a reduced amount, and income from working 2 days a week. Making matters worse I still have a mortgage. However I have managed so far by doing the following. Daily I write in a notebook every item I spend $ on, even if it’s a dollar. That way I hold myself accountable and I can look back over the month to see my expenses. Basically, I don’t spend by staying out of stores and not shopping on line and not stopping for coffee or snacks. I have mostly eliminated “wants” and only buy what is a necessity. I, too, shop at Aldi, as I can really stretch my dollars there. I don’t buy any processed foods, make my own soups and bread, and buy only the fruits and vegetables that are on sale. I save electricity by keeping my heat at 62, but that can get tricky in the NE when you try to avoid having pipes freeze. My dear daughter pays my cell phone, internet and land line. In my town seniors are given a $1,000 exemption each year on their property taxes. In addition I received fuel assistance this year which amounted to about one and a half fills in my oil tank. Others may want to look into these. I put money into savings each month and am somehow getting by, but worry about a big house problem where I have to shell out thousands! Thank you, Brenda for this forum. It’s good to know you are not alone in this situation. I agree with you that staying away from shopping of any kind is a must! I have a list of wants but a bigger list of needs–which includes paying all my bills on time. I do feel good about that! Wow, you’re doing great with what you’ve come up with to save! I think you’ve cut back in every area you can cut! When the weather is nice, we can walk to Walmart or to Family Dollar for groceries (to save on car expenses), but the weather has not been cooperating lately. Hope you have a great weekend! Love and hugs! Even if I could walk to Walmart, I would not be able to carry the groceries back. My ankle would do me in. But I’m glad that you can! Do any of your readers know how to get out of a contract with cable? We are on limited budget and it keeps going up. I don’t watch much tv but my husband does. I can’t justify the cost anymore. I really needed the grocery buying tips as I tend to buy without thinking too much. Going to end that practice now!!! That shouldn’t be my therapy! My mom was a good example to follow. She is 96 and saved enough money to pay for her nursing home! What can they do if you stop paying and take your equipment, if you have any, in? That’s what I did. Who is your company by the way? I don’t think they can keep you in a contract if you’re not using their services. Anyone else know more? Check to see when your contract ends. A few years ago my bill went up and I called the provider. Seems my bill increased because my contract was over. I canceled then and there. I started consciously eating smaller portions, it had become a habit to serve a bigger portion and I don’t need all that. Also, I am really careful buying produce, only buying what I know I will use. Eggs are wonderful for quick, inexpensive meals. After reading the comments I think I will check out Aldi. Between me and Charlie I buy quite a few eggs! I’ve been trying to feed myself on $25 a week. I don’t count the pet food in that amount. I managed to keep within that amount twice but today I spent $34 as I was out of several basics. It’s been tough, unfortunately I have a huge sweet tooth and sweets were the first thing to go. I still have a shortfall of $90 a month and can’t think of anything else to cut unless I stop eating altogether. My car insurance is $200 a month. I’ve called every insurance company I can find and can’t go any lower. I hardly drive at all! Staying home saves money. I do spend $60 a month on internet but I can’t imagine life without it. I never dreamed that I would wind up in this position. I tell my daughters to never depend on a man. ALWAYS be able to support yourself. Too late for me, but I appreciate all these tips so much. Barbara.. not sure where you live, but $200 per month for car insurance seems really high.. not sure what year your car is, can you check your deductible amount? I agree that $200/mo for car insurance is very high. We only pay $106/mo for TWO cars! Why is yours so high?? My spouse an I shop at Dollar Tree alot we go there with our list an get what we can there including food items thy also have pet supplies like great toys puppy pads and some food but you have to watch the size of packagng with this retailer but I get most all my household items there like paper goods and health and beauty aids they sale lots of name brands . Some also sell bread and snack cakes things like that .loaves of bread are 1.00 also . Great place to start before going to Aldi or Walmart . Thanks for the prayers for our loss of our fur baby . Kathy H, I’m so sorry for your loss! You will be in my thoughts and prayers! I know how hard it is coz I remember when I had to put my golden down…almost 16 yrs old! She had a tumor in her leg, that was cancerous! There’s not a day that goes by, that I still miss and think of her! So I know how hard it is for you Kathy right now! First, to Kathy: I am so sorry for the loss of your beloved doggy. It will be a year in Feb. since I had to euthanize my sweet Labradoodle, Tavi and I miss him still, every day and I believe I always will. And like you folks, I don’t think I should get another dog as I am approaching my 75th birthday in March and although I am fairly healthy now, at this age the future is somewhat uncertain and I would hate to pass on and leave my pet for someone else to care for–or not take good care of. So, again, please accept my sympathy for your loss. I do understand how sad and bereft you feel. Now, as to frugality. I find the cost of groceries my biggest expense outside paying my mortgage payment. My daughter lives with me so she pays half the mortgage in place of rent. Otherwise I would not be able to stay in my house. The situation isn’t ideal, but for now it works. The utilities we share, too. The other way that I spend money which I need to look at is for gifts for my kids and grandkids. I don’t buy expensive gifts but small items can add up. But that gives me joy, so I am trying to be more creative and choose home made or bargain items for gifts. It’s the tho’t that counts, right? Recently, I have had a lot of medical co-pays which are so hard to cover. On the bright side, though, I just got a letter today from the hospital where I had to be for ten days this past Spring forgiving their whole bill, which was thousands. They have a program where if your income is low enough you can apply for forgiveness of the amount that you owe. I did so, but I hadn’t heard for quite a while after I applied what their decision was so I was thrilled to get that forgiveness letter. If any of you have acquired a large bill for a hospitalization make sure you inquire about whether the hospital has that type of program. Brenda, I’m so glad you learned about the recall on Charlie’s food before you gave him the bad stuff. Also that you were able to get some from his wonderful vet. I, too, have had 10’s of thousands of dollars from hospital stays and doctor bills forgiven through forgiveness programs at both the Mayo and the Univ of MN, Naomi. It is income based and requires very little paperwork so I highly recommend people ask about a program. I always feel if I have extra money in the future, a forgiveness program is where I will donate it! It’s overwhelming to deal with big medical bills on top of health issues, and the relief when the bills were forgiven was indescribable. I also get one of my extremely expensive ($1500/a month) immuno suppressant medications FREE, directly from the manufacturer, Pfizer. Again, it is income based with a very simple form to fill out. Who would have thought a pharmaceutical company would have a plan like that?! But my sweet husband just started calling places and came across it! Medications are so high! I’m glad you found the program. I have gotten some of mine that way. A suggestion for another Frugal Friday 1.) How to celebrate Valentine’s Day (or any other holiday) when you are alone 2.) How to care for and feed pets when resources are limited. Just throwing ideas out there. This might sound very radical, but if you live in a bigger city with Lyft, Uber, or reliable taxis, you can get rid of your car – and the insurance, repairs, and gas cost. Then, just take Lyft, Uber, or a taxi to run your errands and go to appointments. My 90-year old aunt does this (after the judge told her it was time to stop driving! She had a wreck or two.). My friend who broke her arm and couldn’t drive used Lyft to go to work and doctor appointments while she recuperated. In some areas, churches or senior service agencies have folks that will drive you to appointments. I guess you just have to figure up the monthly cost of gas, insurance, parking, and repairs. Add up the projected cost of one of these modes of transportation – and possibly a car rental for short periods. The difference is how much money you’d save. The obvious downside is… no freedom, no hopping in the car whenever you need to, no aimless driving excursions. That’s a very big drawback, I know! But it might work for some. I’m not being glib; I read somewhere that a car just sitting in your driveway is costing you more money that you might guess. I have been considering this, especially since my cars check engine light is on and I’m afraid to drive it more than the few miles to the grocery store and drugstore. So I don’t hop in the car anyway. I’ve had my license and a car for 45 years so it just seems weird though I know people that live in large cities get along without a car just fine. I’m going to research the cost of these ride sharing apps and this might be the answer but psychologically it might be difficult. Me too! I’m checking this out. Yesterday driving to the vet I noted that I have to get my oil changed in a few hundred miles. Love this Blog. So many excellent ideas and tips. I live in a small town and everything is so expensive here, so I have to drive 30 miles to do my shopping. I plan ahead and go once a month, buy my gas, food, and med’s. Our WalMart has frozen vegetables for $1.00 a bag. I buy several different bags and can use them for soups or a side dish. I also buy bulk chicken and ground turkey, these will last a long time and make a variety of different meals. I can get free apples, potatoes, celery and carrots at our church food bank, which is delivered every Sat. I live in a Mobile Home park and they just raised our space rent $100. So I will have to cut back on something to make up for that. That is one reason I decided it was best to rent an apartment rather than look into buying a mobile home. Not knowing how much your space rent could go up while paying for a mobile home. Also the tornadoes here of course. You can also grocery shop at Dollar Tree. Freezer veggies fruits, cans of soup, etc. Not all Dollar Trees have freezers. I don’t think ours has that. I’ve never seen a freezer there. I have a friend who told me a few years ago that she will occasionally save a $5 bill. I started too (because who misses a $5 bill? ), and now I save any that I get. There was a news article recently about a woman who has done this for years and has saved $42,000! Brenda, I am also self-employed, and a third of any pay I receive is set aside for taxes. I live in a state that does not have a state income tax, but we have high food prices. No Aldi in this part of the country (I wish we did). The nearest Trader Joe’s is 50+ miles away. I do what I can with Walmart/King Soopers/Albertsons and Safeway (we still have one of each even though both are owned by the same company). And lastly, to the sweet lady who wrote about putting down her dog, I extend my deepest sympathies. I put down my sweet Maci fifteen months ago, and I think about her every day. One dog left (husband has nothing to do with her even though she’s his dog), and when she’s gone, there won’t be any more. I’m 58 and in good health (may it always be so), but the loss has been devastating.